Photo Friday – Our fun week! Its been a lovely week, we have had glorious sunshine which has meant that we have spent a lot of time outdoors. E is so much easier to entertain when the sun shines and she doesn’t get bored as easily. The start of our week – well starting from last Saturday we went to a 4th birthday party, E’s best friend Isobel turned four and luckily the sun was shining so there was a lovely little birthday party in the garden. E loves party food, not that she ever really eats much of it except for at her own birthday parties.. Here she is looking super cool munching on some party food. 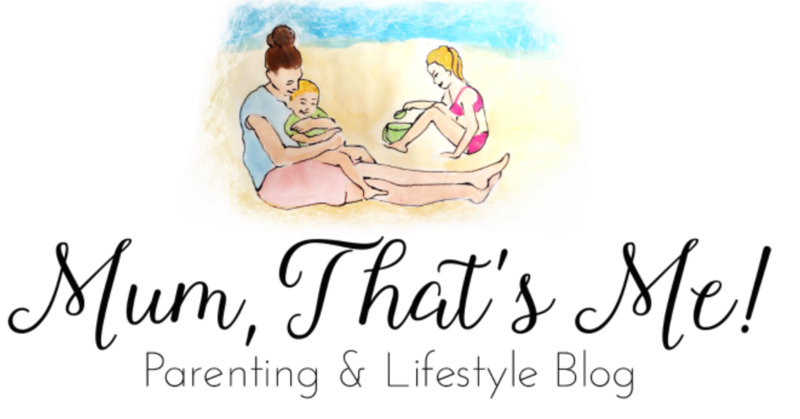 E has known Isobel since they were born, I met her mum at antenatal classes and we have stayed in touch since. The girls play so nicely together and love seeing each other. 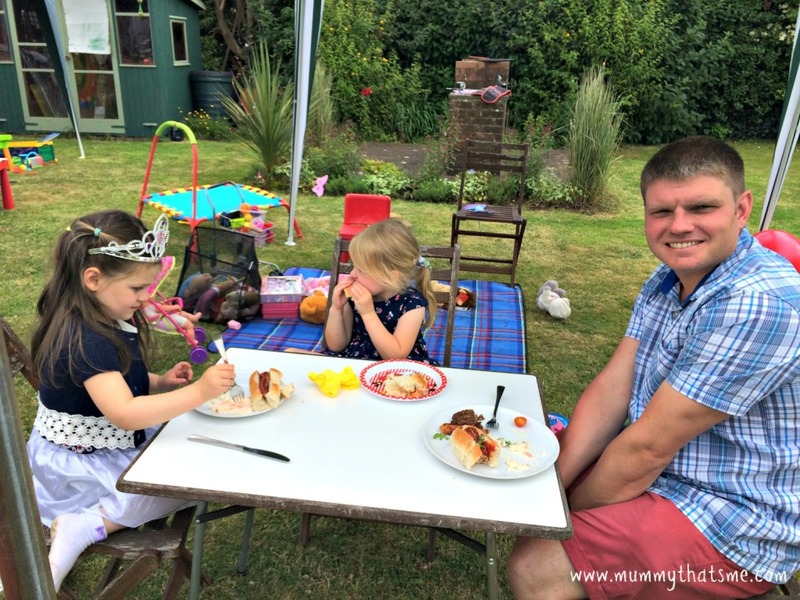 Our friends invited us to stay after the party for the day with their family for a BBQ which was lovely, as the girls got to play together all day. Both the girls insisted that Martin sat with them whilst they were eating. Was quite a cute sight the two girls chatting away to him. 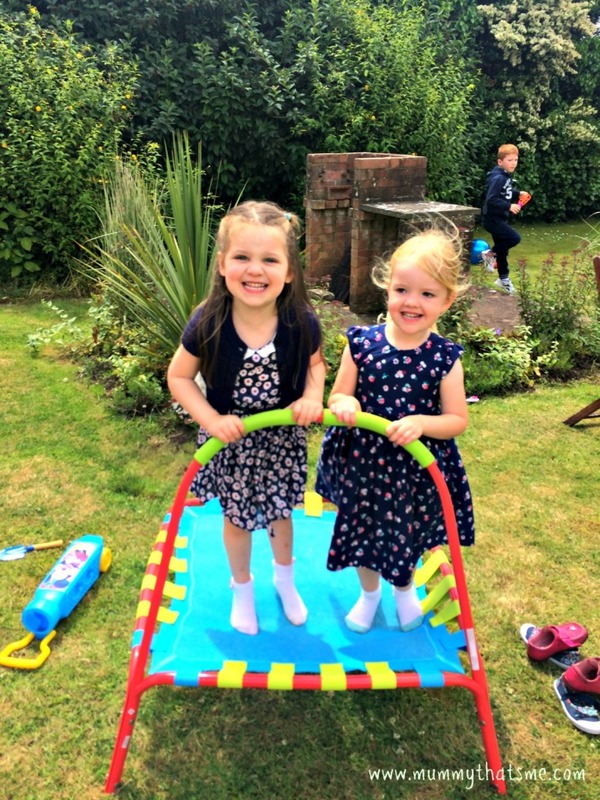 The days when E isn’t at pre school I try to keep her fairly busy, if I don’t she gets bored and then gets naughty which is just far to stressful especially in this heat. 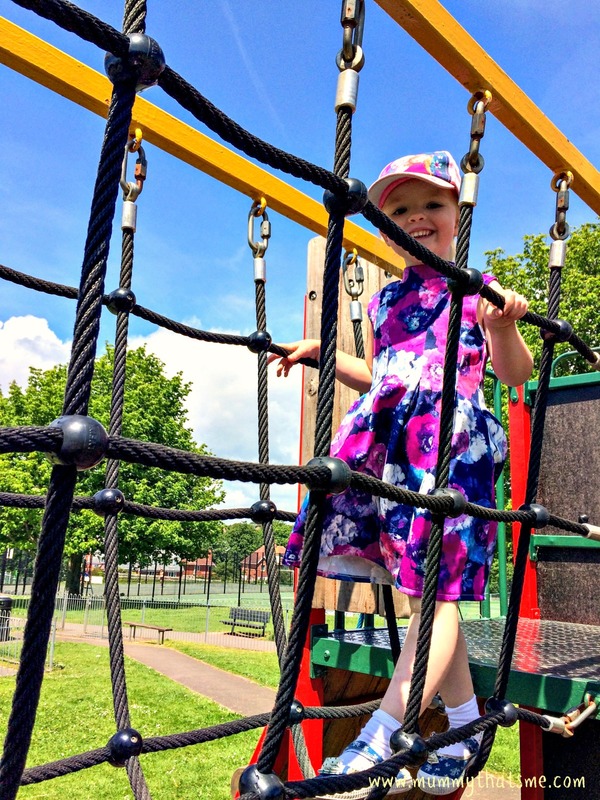 So this week we have spent some time visiting a couple of our local parks. 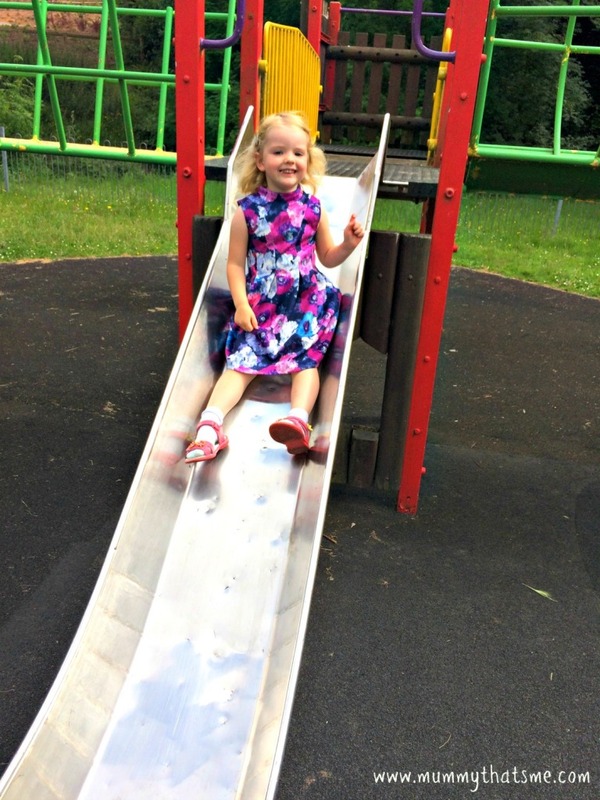 What is it about kids and parks, they can play for such a long time and not get bored – but for the adults it’s not as much fun. E is insisting on wearing this particular purple dress a lot at the moment, her Grandma from Cornwall bought it for her and she loves it. She actually got upset that I made her put it in the wash basket the other night. 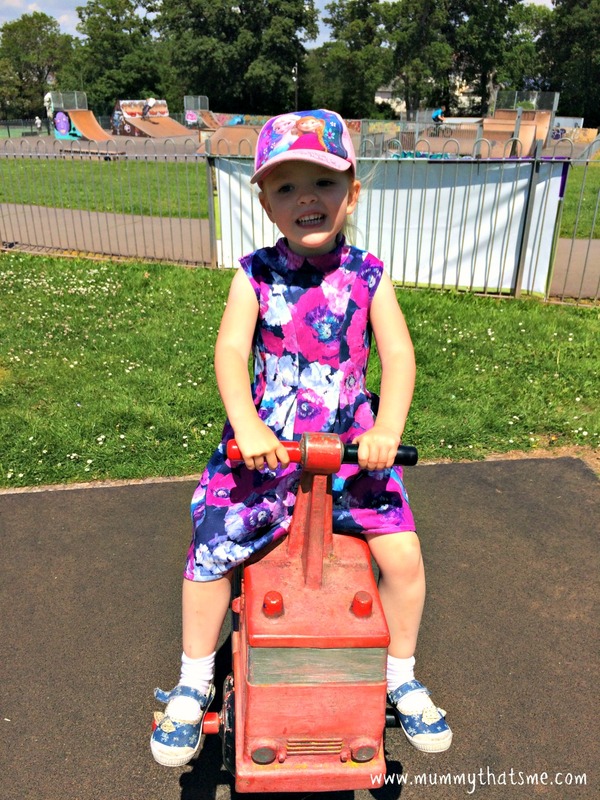 As you can see from this photo E was having a great time at the park in the sunshine. 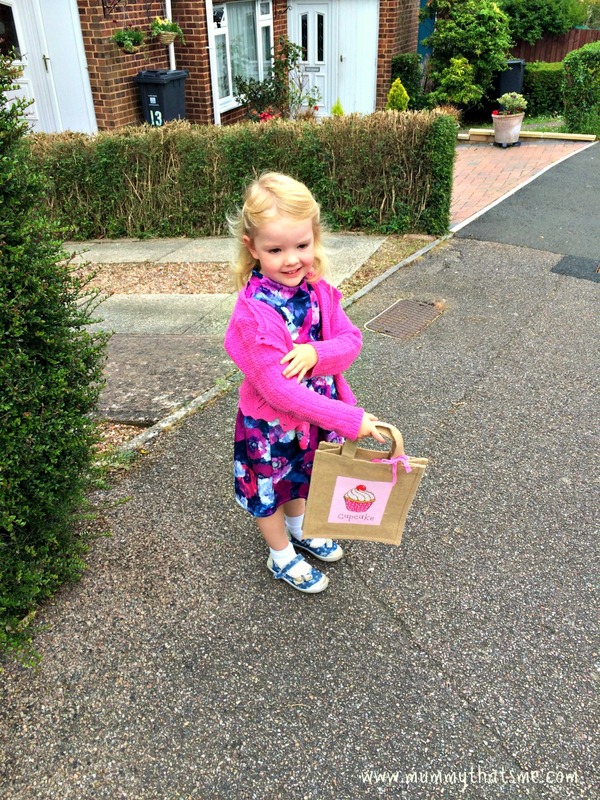 Yesterday we had to pop out to post Fathers Day cards and a few other bits, E insisted on putting them in her little tote bag and carrying them to the post box, it has to be said she did look very cute. 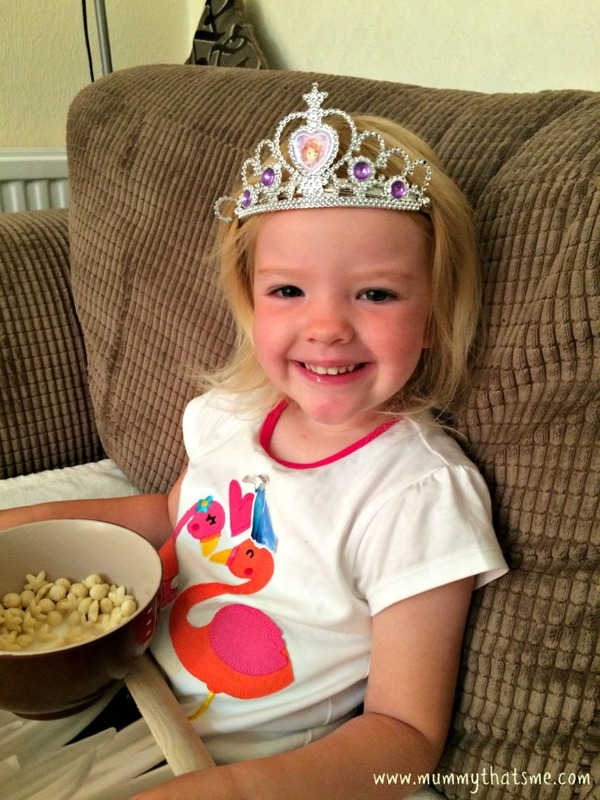 on Thursday morning for breakfast E was a princess, apparently princesses eat their breakfast on a tray in the sitting room whilst watching Team Umizoomi, as you can see Princess E was very happy eating her breakfast whilst watching television. 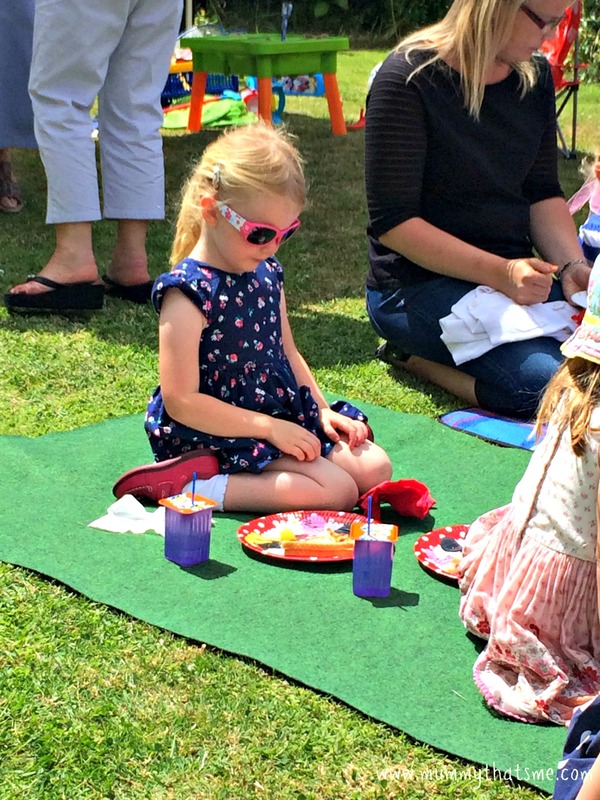 Thursday is a pre school day for E so it means I get a day to myself to potter around and get a few bits done, the time apart does us good as it means I have more energy to do things with her so when she got home from school we were in the Garden playing picnics with her baby dolls. 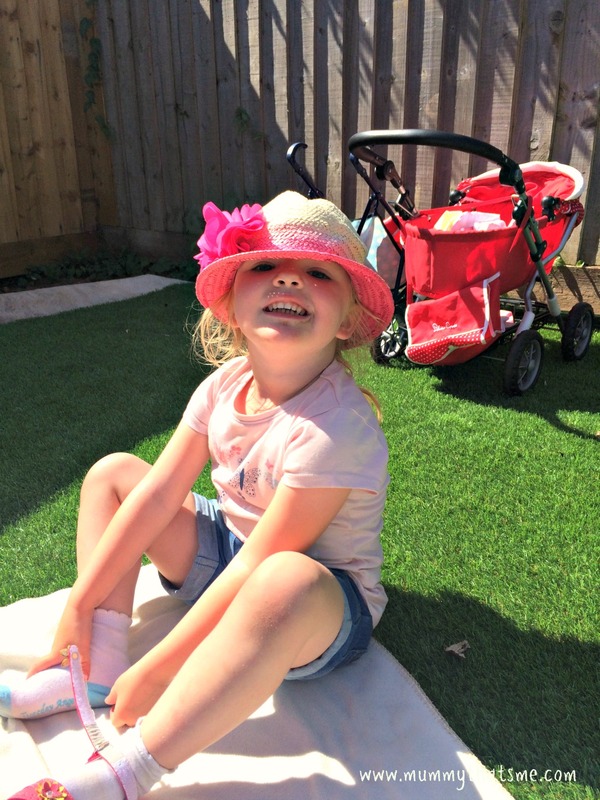 I love it when the sun shines, we even ate our tea outside on the Thursday night which E loved, as it was something different she ate all of her tea very quickly and then ran off to play again. As you can see we have had a great week out and about in the sunshine, lets hope this weather continues. I hope your week has been as fun as ours.